The Sovereign, also knows as the Petrie Kelly Building, is a visual anchor for the eye right in the center of downtown Guelph. Upscale interiors are easily complemented by the enviable architecture and the views of the City Hall. 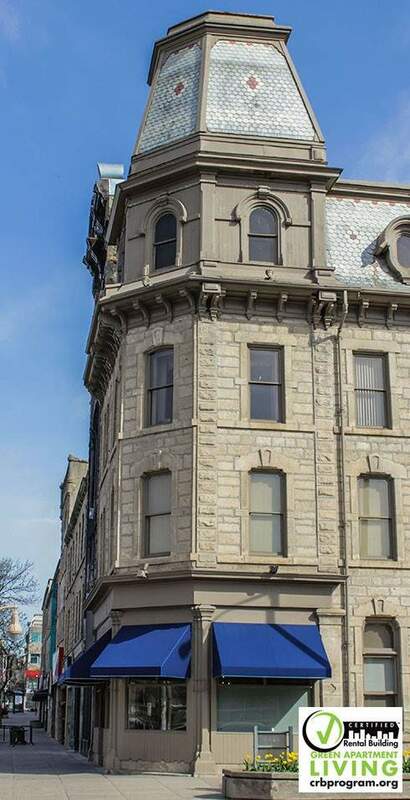 A designated heritage building by the City of Guelph, The Sovereign is 128 years old and is the only industry-certified rental building in Guelph to offer unique loft-like apartments - just one of its many appeals. Live in downtown Guelph in a historically & architecturally significant heritage building! Completed in 1882, this was the site of the Form Independent Order of Odd Fellows' meeting hall. The 3rd floor exhibits original hand-painted ceilings (not in residential areas). Built on the old site of the old Great Western Hotel. We're situated within walking distance to these fantastic amenities: walking trails, Speed River, River Run Center, specialty shops, restaurants, shopping boutiques, banks, city hall and public transit: buses, cabs & the train station. Our residents enjoy the elegant, 10' high ceilings, ornate ceiling-high windows in 1 and 2 bedroom layouts. 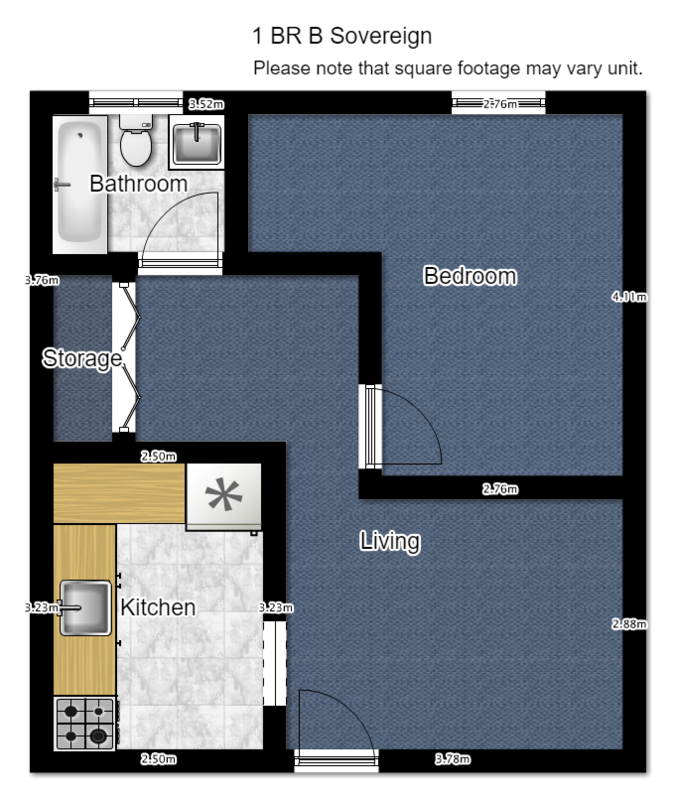 Laundry is included with the rent, along with 1 assigned parking space and central vacuum. 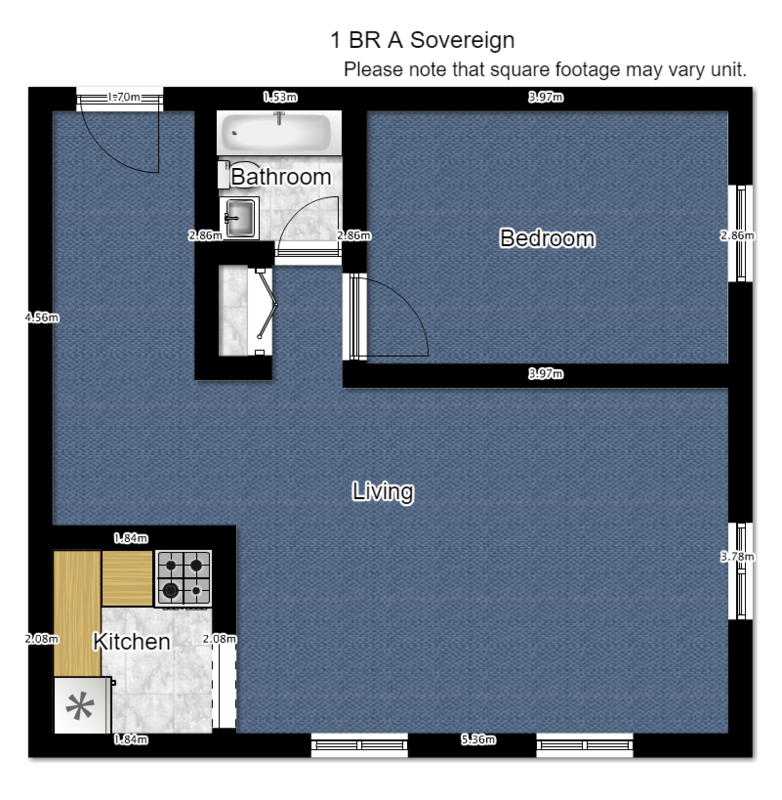 Try our online room planning tool!